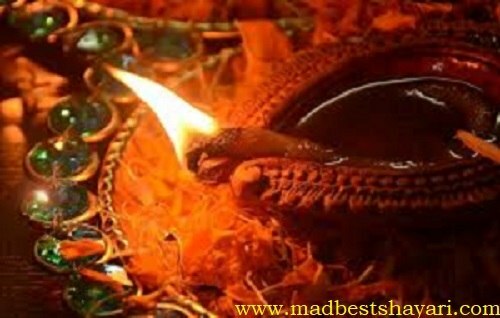 Reasons to Celebrate Diwali : Hello guys … we welcomes you to your loving site that is www.madbestshayari.com and today we are going to discuss about reasons to celebrate Diwali that means why we Indians celebrate Diwali every year with happiness & joy. Mostly people knew only one or two reasons but from this amazing site you will be able to know all the mythological stories behind Diwali celebration. This will also help you further in many ways. Also, I wanna inform you that in this interesting site you will find Sad Shayari , Love Shayari, happy valentines day shayari, happy new year shayari and may more. So guys , I assure you that this will help you a lot. So please join with us on www.madbestshayari.com . And now we are going to talk about our topic Reasons for celebration of Diwali . Diwali or Deepawali also known as festival of lights, it is celebration in autumn every year, falls between mid-October & mid-November depending on the cycle on moon & is commonly observed on the 15th day of kartik according to Hindu calendar. But do you know why we celebrate Diwali every year. There are some mythical & as well as some scientific reasons for that, which are given below. Now we are going to discuss every topic one-by-one. The very first one & well known reason is Return of Lord Rama on new moon day (Amavasya) or 15th day of kartik month to Ayodhya after killing the evil king Ravana & passing a long period of 14 years in exile. He returned with his wife Sita & brother Lakshaman , so people of Ayodhya decorated the entire city with earthern lamps (diyas). Rows (aavali) of lamps (deep) that people lit to welcome their king gives name to this festival Deepawali . The second reason is about the 5th incarnation (avatar) of Lord Vishnu as vaman avatar, who protected goddess Lakshmi from the prison of king bali, a booned king by lord Brahma for being undefeatable by even gods. Vishnu became a Brahmin & approached king for charity. King couldn’t refuse & gave his kingdom & wealth (for that Lakshmi is said to be goddess). That’s why goddess Lakshmi is worshipped. The third reason is birth of goddess Lakshmi took on the same day. At the time of churning of ocean to seek Amrita (samudra manthan) many celestial bodies were came up. Goddess Lakshmi, daughter of king of that milky ocean incarnated or arose from depth of ocean on the new moon day of kartik month i.e. Diwali. The fourth reason behind celebration of Diwali is killing of narkasur. He was son of varaha murthy incarnation of Vishnu and earth (Prithvi Maa). When he was quite young, Earth mother prays to lord Vishnu not to kill him in future as narkasur shows his destructive powers so lord Vishnu promises and said that no one can kill him except you. As time passes, narkasur became powerful. Vishnu & earth took incarnation in the form of Krishna and Satyabhama. Narkasur start challenging all kings then he faces Krishna with Satyabhama. When narkasur attack Krishna then satyabhama start fighting with him & then he died. That day is said to be Narak Chaturdashi. Fifth reason is about return of Pandavas. According to ‘Mahabharat’ on the same day that is on the new moon day of Kartik month, Pandavas including their mother and wife Draupadi returns to Hastinapur after 12 years of banishment as they defeat Kauravas at the game of gambling. People welcomes them by lightning their state . Now sixth reason to celebrate Diwali is about enlightenment of Dayanand Saraswati. He was greatest reformers of Hinduism, enlighted and become Maharishi Dayananda on the new moon day(Amavasya) of Kartik i.e. Diwali day. He was founder of Arya Samaj. This day means on New Moon Day of Kartik is also special for Jains, which is all about our 7th reason. On this day the 24th last Tirthankaras of Jains, vardhamana Mahavira who was the founder of modern Jainism, was enlightened. So Diwali is also celebrated by Jains. Our 8th reason is about the coronation of Vikramaditya which means Crowning ceremony of Vikramaditya, the great Indian Legend. He was crowned on 15th day of Kartik after his victory over sakas in 56 B.C. Diwali is apart from being a religious festival also has historical stories. 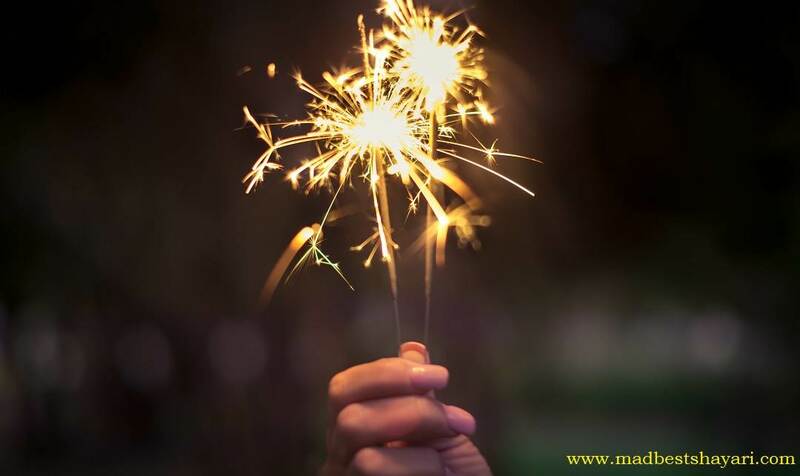 The 9th one is all about why Sikhs celebrate Diwali with happiness and joy. There are two reasons for them to do so. One is there 3rd sikh Guru Amar Das consider this day for all Sikhs to receive Gurus blessings. and the second one is there 6th Sikh Guru Hargobind ji was freed by Mughal Emperor Jahangir. Also Foundation stone of Golden Temple at Amritsar laid on Diwali day. The 10th reason discusses about Kali puja. When all the Gods lost in a battle with demons then first incarnation of Goddess Durga that is Goddess Kali born from her forehead and killed the cruelty of demons. She lost his temper and kill everyone came in front of her, so stop of Lord Shiva. That's why to get her blessings, Puja of Kali happens every year. The 11th Reasons is about Mahishasur who had received blessings from three great gods – Brahma, Vishnu and Shiv. Then he started to kill everyone. Then Gods decided to finish him not by themselves but with the help of their wives - Parvati Lakshmi and Saraswati. They fought for 9 days and 9 Nights. On the 10th day, Mahadevi kicked him off his elephant and he lost his powers after falling to ground. Mahadevi started dancing to celebrate the victory but did not calm down. On the 15th day of Kartik, she showed sings of calming down. Lamps were lit to brighten the night. The 12th reason is about Seasons that means harvest festival. As Diwali Falls at the time of kharif Crop when rice cultivation gives its fruits, which is also the reason of celebration for farmers. Our 13th reason is Hindu newyear day. Diwali time is that time when Hindu Businessman after Pujas, start new books of accounts and pay of all debts for a fresh start. So it is actually a newyear day for Hindus. Diwali celebration has also scientific reason hidden in between them. So our 14th reason is about why we clean our house on Diwali. there are many reasons behind it that are we used to bring rice, cereals, pulses etc. at the time of Diwali, so it needs to clean to preserve for almost 1 year. Secondly from Diwali winter beings to start but is rainy season, houses become dirty with dust so it should be clean to live in. And cleaning house may also reduce insects in our house . Our last reason to celebrate diwali is to light lamps. As darkness stands for Evil, brightness of God and Diwali is the festival of good over evil, brightness over darkness. In winter, lots of insects multipy and destroy crops. when you light lamps in million then they come and fall in contaminated air can be absorbed by earthen lamps. To conclude, I wanna say that there are several reasons behind Diwali celebration including mythological and as well as scientific. Behind every reason there is a sweet message. So overall, Diwali is greatest and most prevalent celebration. And for more articles, stories and shayari just keep reading.